Is sensitive skincare really that sensitive? 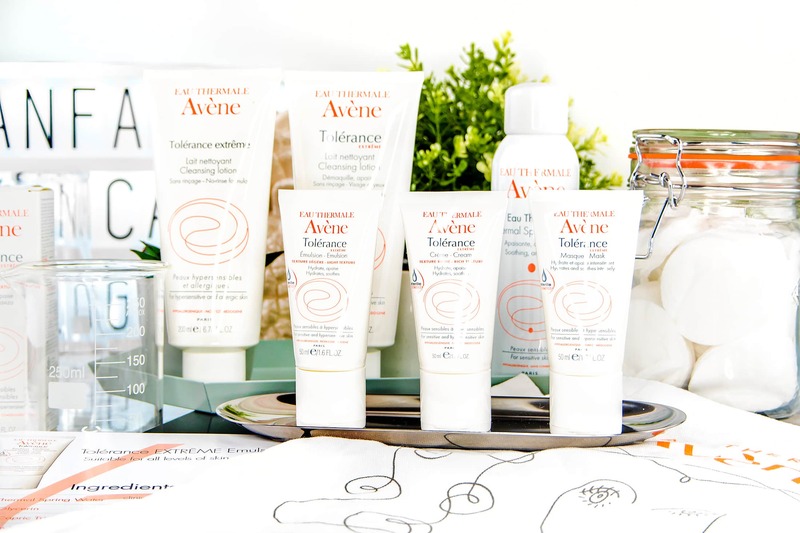 Now Avène have come with something new, the Tolérance EXTRÊME collection that has been created for those of us with sensitive skin. There are loads of ‘sensitive’ skin products out there with many of them still containing parabens, alcohol and even fragrance. If your skin is prone to sensitivity, you’ll already know to avoid these ingredients like the plague! So Tolerance is not only a collection with kind ingredients, but the most smarty-pants-clever packaging you’ve seen yet. When using products, particularly for sensitive skin, that are either in a pot or a tube, they are prone to contamination. With a pot it’s when you stick your fingers inside, and when it’s a tube, it’s the air that’s forced back in. Normally this is fine, because there are often ingredients that kill bacteria and contaminants, but these are the ingredients that can easily irritate sensitive skin. With me so far? So, Avène Tolérance EXTRÊME comes in tubes that once you squeeze, the air is blocked from going back inside… Cool, right? If you haven’t seen Avène before, you’d be forgiven. They’re enormous on the continent as you can see below in this relatively tiny French pharmacy – I sadly didn’t buy anything as only had hand luggage which makes it a pain to bring back. In the UK, Avène can now happily be found in most Boots stores – in the past it used to just be flagships, but now they’re everywhere! 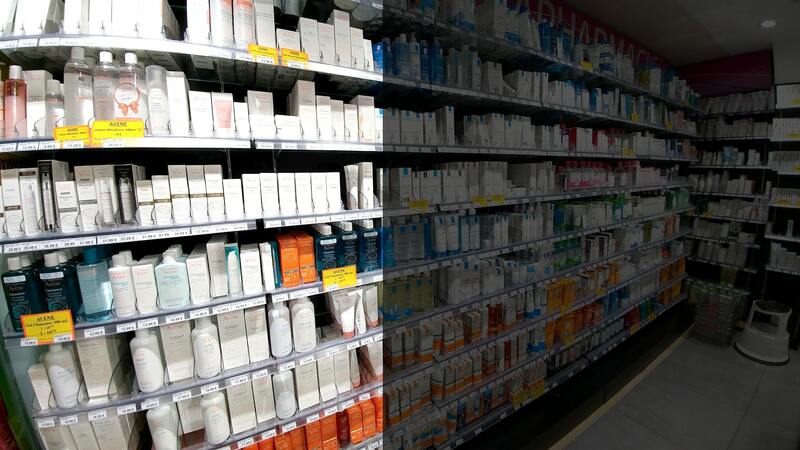 Skincare is sold very different within Europe – although you’ll have your regular beauty hall brands, the pharmacy skincare brands are sold by Pharmacists who have a deep medical knowledge and understanding of acute skin concerns. Avène are actually owned and produced by a pharmaceutical company, and this means that we are governed by certain rules and everything that comes with it. Pharmaceutical companies operate a practice called ‘pharmacovigilance’ which means that any reaction (itchiness, redness, rash, etc) must be reported to their head office. Other than mentioning their kind ingredients and packaging, I’m purposely not talking about the ingredients, how it feels or what it does as I have been challenged to try the skincare out for 3 straight weeks and to report back. It’s also worth mentioning that the Cleansing Lotion with 7 ingredients is available in 2017 (Jan) but the one right now has 8 ingredients and is available. In the meantime, you can check out the full Avène range here at Escentual. This article first appeared on MANFACE written by Thom Watson. It was published on Wednesday 31st August 2016 and was last updated on Monday 3rd April 2017 at 12:46pm. It's categorised under Avene, Dry / Dehydrated Skin, Sensitive Skin, Sponsored where you'll find more related content.